This is a fabulous gallery. I really enjoyed looking through these photos. These are great photos for their educational value too. Voted. Macro photography is unique but your macro is the excellence one. I love going through every single photos. Very nice - I particularly like the close-up eyes! I hope you don't mind that your spiderface close-up picture is now decorating my monitor. 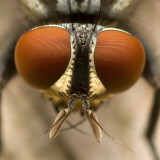 I admire those creatures and I was in search for a high quality close-up picture since ancient times. Well I think I found it, this one has perfect depth and light, simply awsome. All the girls in our office hate it, but I think this creature is more beautiful then most of them :-)) Haha just joking, great job Duncan thanks for sharing. ouahhhhhhh ! magnifique! superbe ! photos excellentes! good! congratulations ! I don't know anybody using the 300D on a Sigma 20-200, but I don't see any reason you couldn't. What's the filter thread size on the Sigma? THe 300D is fits a 77 mm filter thread size. If your lens takes a smaller filter, you could use a step-up ring. If it takes a LARGER filter it might not work very well, since you risk vingetting. The 500D is recommend for lenses from 70 mm to 200 mm, so you'll probably get the best results in that range. I love your Macro work!! Your use of the two flash units has inspired me to experiment with that also. I have a Sigma 20-200 F2.8 lens and was wondering if you know of anyone using the 500D with that unit? Duncon, only went into insects at this time/ Butterfly - 1683 blew me out of the water... Then DSC-4845 is the winner... so far for me, chances of catching insects in that place in life is once in a lifetime... do u know about the contest that is $60,000.00 purse and a $10,000.00 first prize? let me know if u don't and i will send to u better yet put me on your Instant Messenger and a lot easier then taking risks of virus going around... way to go... linda, central Florida..